As part of its CES 2017 lineup Dell has unveiled the Canvas, a 27-inch QHD smart workspace that offers support for touch, totem and pen. 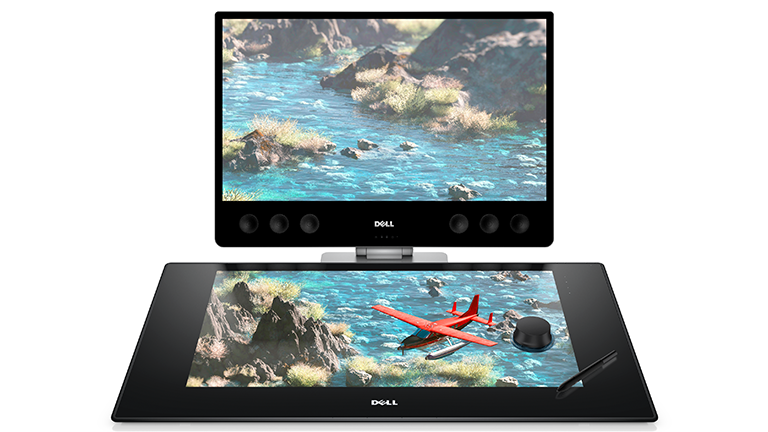 The Dell Canvas has been designed to work in partnership with Microsoft's upcoming Windows 10 Creators Update, which the company state will make Windows "the place you love to create and play." According to released information, the Canvas will allow users to use touch, digital pen and totems/dials to turn drawings into part of their digital workflow with Windows Ink or by marking up webpages in Microsoft Edge. It has also been confirmed that the Dell Canvas can be powered by almost any Windows 10 PC and works with various established pieces of software from Adobe, Autodesk, AVID, Dassault Systems, SolidWorks and Microsoft. In terms of pricing and availability, the Dell Canvas will be available from March 30 on Dell's official online store with a base price of $1,799.